Football is a big deal here in autismland. As a child, football was on the tv every Sunday afternoon. There was never an option to watch anything else . 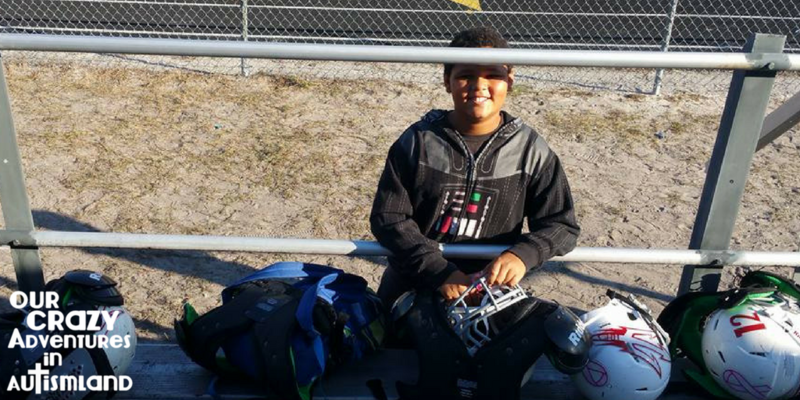 I dreamed of sharing my love of the game with my children. Sadly that is not what transpired in my life. No one in my house with the exception of me likes the game. 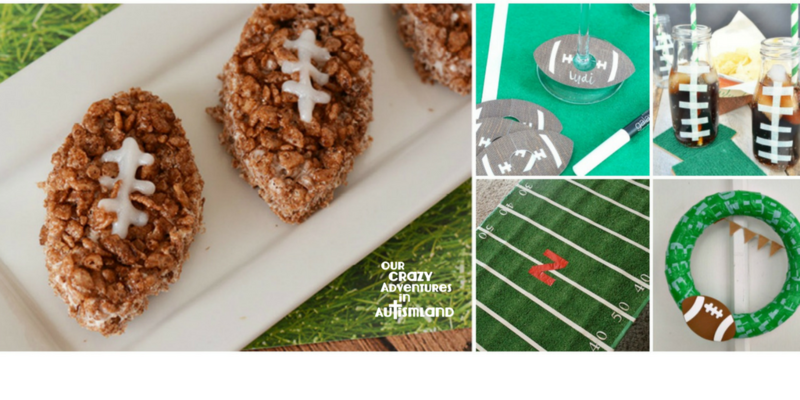 What my family likes is all the snacks and festivities that come along with football season. JoJo has become my football buddy who will take interest in the game with me. Logan wants to know the menu. Madison is always up for a good party. In an effort to share experiences with them, I cater to their desires. If Logan wants snack food and Madison wants decorations which helps them be excited about football then so be it. Who am I to not pay attention? It has become one of our family traditions to have FOOTBALL SUNDAY. Doing so has eased the sting of having a non football family for me. Want to add some fun to your Football Sundays? Here are some fun crafts and recipes from around the web that I’ve thought were fun. Some you have to make more than once like recipes. The decorations we store in a plastic box at the bottom of the pantry. We then take them out Saturday night as we prepare our home for Sunday. I love waking up to see football everywhere. Funny story, I forgot we switched time zones when we moved to Arizona so I told people to come over at 6 PM for SuperBowl. Too bad it started at 4 PM on the West Coast. At least Madison learned that there are points involved when the players throw down the football and dance. I’m excited she was watching enough to figure that out.